Diamond Studios has the development experience you need to provide you with a custom software application. Whether it is an application to promote your business, an application to provide users with a unique service, or an application to simplify internal processes; IF YOU CAN DREAM IT, WE CAN BUILD IT. Our on-staff programmers and developers have extensive knowledge in back-end languages, front-end languages, and database management systems. While every company uses software solutions; a new trend has emerged for companies that want to grow and scale their business activities. This trend is Customized Software Application Development. Why? Many companies find that while “off the shelf” software programs once served a purpose in their organization; they have outgrown the cookie cutter off the shelf program and need a customized program built specifically for their company. Each company can dictate exactly how the software will be used before it is even developed. Perfectly fits your businesses requirements. Allows you to rid yourself of the inefficiencies of previously used solutions which frees up your team to focus on the new areas that you previously didn’t have time for. Can provide a competitive advantage over your competitor by have the only company in your industry that has a customized application. 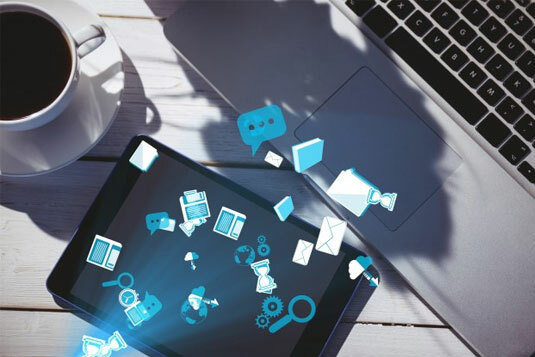 Custom Applications work the way you want A common problem with “off the shelf” software programs is that small business owners are forced to change some of their business processes in order to fully utilize the system. Custom applications are specifically developed to accommodate your business requirements. Your input is taken into consideration into every aspect of the development stages to make sure the final product will work in the way you want and need. The final product will be customized software; equipped with all the necessary functions and reporting that your company can use. This will simplify the entire business process, save time & effort, and automate many manual reports and work-arounds of “off the shelf” software. Reporting is essential for all businesses. Instead of spending hours in digging your way through excel sheets and doc files, your customized business solution can give you a summarized report from where you can retrieve all the necessary inputs and use them effectively to achieve business goals. For example, you can access all of your client information and get customized reports related to various functionalities such as past purchase reports, client details, invoices, top selling products, and much more. Custom software development allows you to integrate various software solutions for numerous departments by integrating all of them in one system that will allow you to manage multiple processes in one place saving time, money, with higher results and less mistakes. Custom software is more scalable than “off the shelf” software. “Off the shelf” software may be inexpensive to purchase at the beginning, but as a business grows the software becomes unable to support the newer requirements of growth or charge expensive yearly licensing fees to upsize the product in order to fit the company growth. With customized software, you own the software, there will never be any licensing fees and the software can be developed to meet the specific needs of your company while allowing your business to grow without being limited by your software. If an employee can do a task quicker manually or with an excel spreadsheet than with the “off the shelf” software, you should look at a custom software program. This could be a training problem or that too many steps are needed to execute the task using “off the shelf” software needlessly complication the process. You can’t do what you want with your sales leads – Many “off the shelf” customer relationship management software does not fully support the sales process – i.e. special pricing, customized workflows. Business expansion is being stalled – As a business grows, it becomes more complex. An “off the shelf” may lack flexibility or scalability to handle the new complexity. Customized software can add additional functionalities and user groups that can grow incrementally over time as the company grows. Staff constantly complains about software negatives or use manual workarounds to complete routine tasks that custom software could fix. Using different software programs to complete a task – When you need more than 1 software solution running across different departments that rely on data from each other to complete customer orders or create management reports, inefficiencies and the possibility of errors develop. Customized software can integrate these systems into 1 creating less work and less of a possibility of user error. 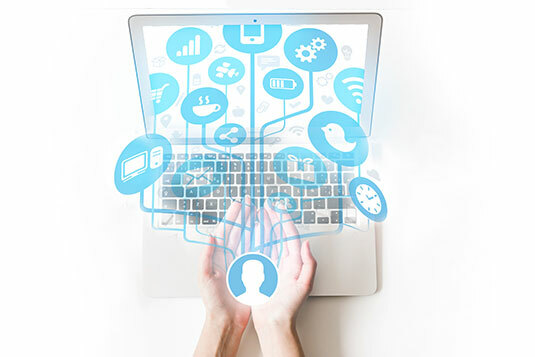 “Off the Shelf” systems may suffice internally, but if you have an application that connects with your customers, personalization may be pivotal to your success. A customized software application can differentiate you from your competitors and give you a competitive advantage. Contact us for a free consulting and brainstorming session. Let us help you design a Customized Software Application that is built for you with your company in mind.